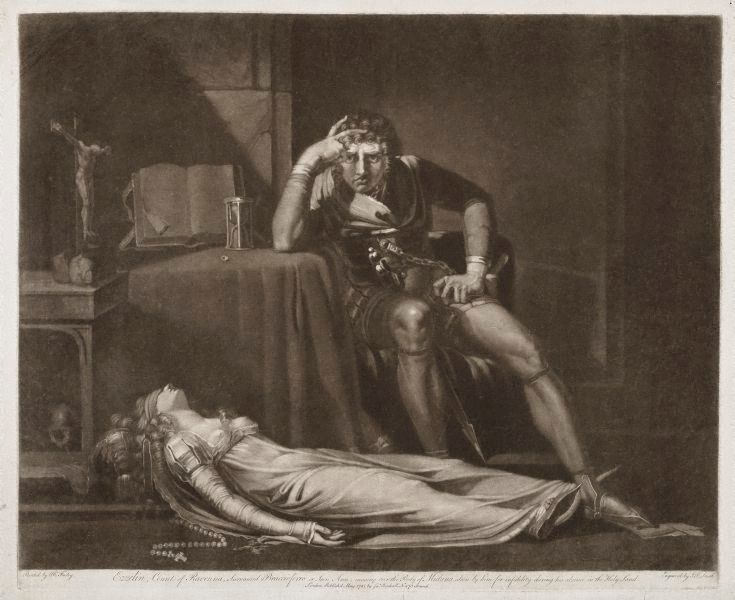 Fuseli’s most perverse and spinechilling subjects were often those which he invented himself rather than derived from literary sources. The story of the crusader, Ezzelin Bracciafero, who killed his wife Meduna on his return from the Crusades because of her infidelity, was a figment of the artist’s imagination. 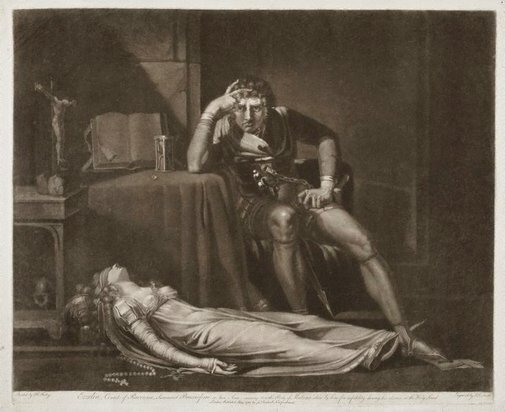 Fuseli exhibited the painted version in 1780, a year before it was reproduced in mezzotint by the famous engraver John Raphael Smith.